If you think that Rockefeller Plaza in New York City is the only place that you can go outdoor skating for the holidays then you are greatly mistaken. 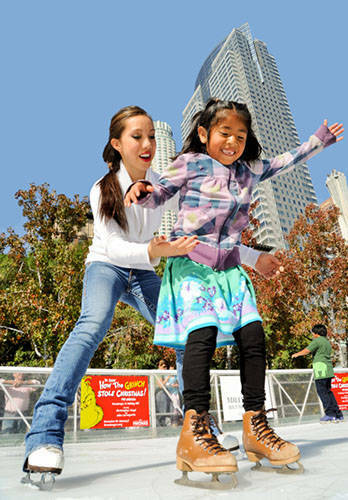 Los Angeles offers several different venues for Holiday skating. Enjoy this great outdoor activity in the beautiful California sunshine! I’m Carol Wolfe and nobody does it better. What is expertise worth to you? If you were facing brain surgery you would easily choose a proven board certified surgeon who had successfully performed the procedure numerous times over a first year med student. Wouldn’t you? You wouldn’t think of turning your taxes over to the care of your teenager with the rational that they were successfully passing 10th grade math. Of course not, because expertise is valuable. It saves time, money, and stress. Expertise can be a life saver. Expertise in Real Estate is no less valuable. For most people buying a home is the largest purchase across their life time. Although it is a huge financial consideration it is also a tremendous emotional consideration. People rarely buy houses, more often they buy homes. Home is where you invest your heart, your time, your family and your future. When buying a home you need the expertise of a Realtor who has proven excellence and knowledge of today’s ever changing market. You need a Negotiation Specialist. To receive a Negotiation Specialist Designation a Realtor must comply with rigorous course work and demonstrate excellence in the area of skilled negotiation. Would you trust anything less with the sale or purchase of your home? Don’t settle for less than the best for the sale or purchase of your home, use a Negotiation Specialist. I’m Carol Wolfe, I am a Negotiation Specialist and nobody does it better. Looking for the perfect home in the perfect location? Look no further, nestled in the prestigious Rancho Estates, this gated traditional home features 5-bedrooms, 4 bathrooms and plenty of custom upgrades. Set back from the street on almost a ½ acre this home offers a double door entry into warm, large, light filled rooms. From custom carpeting and crown moldings to leaded glass windows, this home is all about the details. The stone and slate fireplace in the living room sports a lovely wood mantle, the adjacent formal dining room invites with Venetian plaster walls. The chef’s kitchen is an entertainer’s paradise with granite counters, center island, custom pantry and stainless steel appliances from Thermador, Fisher Paykel, and GE Monogram. Custom cherry cabinets, wainscoting and crown moldings complete the effect. 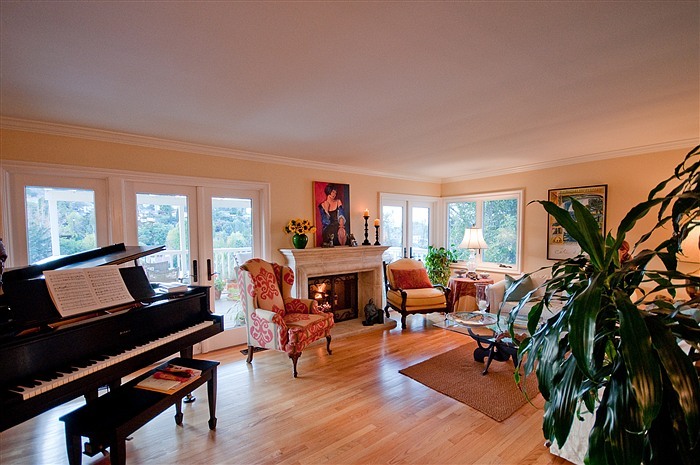 The family room beckons with its hardwood floors, beamed ceilings, custom bar and fireplace. Completing the downstairs are Maid’s quarters, a game room and the master suite, which boasts 3 closets. There are 2 additional bedrooms upstairs and another full bath. The lush landscaped grounds include a covered pergola, brick decking, pool and a spa. Sculpted grass areas are interspersed with a wide variety of bearing fruit trees including lemon, tangerine and plum. An outdoor kitchen including a barbecue, refrigerator, 2 gas burners and a sink make al fresco dining effortless. To arrange a private viewing of this spectacular home please give my office a call at 818 285-3688, or view additional photos at www.RanchoStreet.com. You can also stop by the open house this Sunday, February 14 from 1 pm to 4 pm. I’m Carol Wolfe and Nobody Does it Better. If simple elegance is what you seek, then you will want to see this light filled home that evokes the beauty, serenity and style of a villa in the south of France. This spectacular 3- bedroom, 2 bathroom designer’s home features hardwood floors, a recently remodeled chef’s kitchen and a splendiferous al fresco deck with amazing views of the valley. From the brick walk way that graciously welcomes you to the lush lavender and rose scented garden, this home speaks of casual elegance. Top of the line kitchen appliances include Viking, Thermador and Miele as well as a 42” French door refrigerator/freezer. The open floor plan allows you to enjoy the cast stone fireplace in the living room and then stroll through French doors to the deck to enjoy cool breezes and inspiring sunsets. The master suite boasts a fireplace and a cedar-lined walk in closet. The bathrooms sport Jerusalem stone and frameless shower doors. This home features many recent upgrades including a new lightweight tile roof and dual zone HVAC. Additionally there are energy saving solar voltaic panels, reducing utility costs and greening the entire home. If you would like to view this unique home please give me a call, or to view additional photos visit www.RandDrive.com. There will also be an open house on Sunday, February 14 from 1 pm to 4 pm. I am Carol Wolfe and Nobody Does it Better! 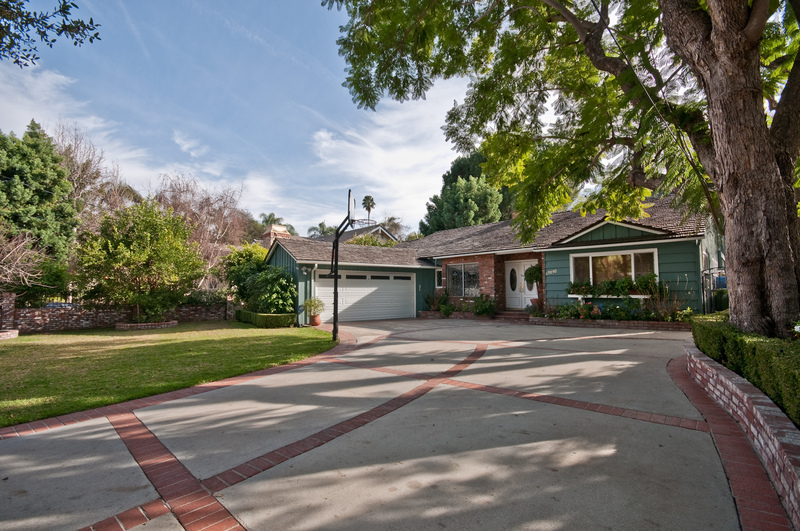 While there are so many reasons to live in and around Encino, I think the greatest is the quality of the homes here. If you are looking for a distinctive home in the Los Angeles area, you need to view what Encino has to offer before making any decisions. From fabulous gated estates that speak of Hollywood glamour to one-of-a-kind homes in award winning school zones, Encino has it all. Uniquely located within close proximity to downtown but filled with small town grace and elegance, Encino offers the full package. Green lawns and towering oak trees all fed on the centuries old aquifer that runs deep below the heart of Encino add to the picturesque beauty of our lovely community. For centuries Encino has served as an oasis to travelers hungry for a place to call home, the same is true today. Families find that Encino is the perfect blend of small town advantages with big city benefits in their backyard. If you are thinking of relocating to the Los Angeles area, do yourself a favor and give me a call. I’ll be thrilled to show you all that Encino has to offer. There are some things that never change. Thank goodness for that. Since the 1970’s Castle Park in Sherman Oaks has been providing family fun and entertainment to San Fernando Valley residents. Located at 4989 Sepulveda Blvd., Castle Park offers miniature golf on a beautifully manicured 18 hole course that is reminiscent of a castle and grounds. For those who want to brush up on their baseball game there are baseball and softball batting cages offering speeds of up to 80 miles per hour. If arcade fun is what you are looking for Castle Park has a wide variety of games to satisfy everyone in the family. Tokens can be purchased one at a time or there are discounts for buying larger quantities. The Ahmanson Theatre regularly presents Broadway touring musicals and this summer will be no exception as Monty Python’s Spamalot makes its Los Angeles debut starting July 7 and running through September 6th. Spamalot won three Tony Awards in 2005 including Best Musical and Best Director. Monty Python’s Spamalot recounts the legendary tale of King Arthur and the Knights of the Round Table and their quest for the Holy Grail, featuring a chorus line of dancing divas and knights, flatulent Frenchmen, killer rabbits, and an armless and legless knight. Monty Python is famous for its British comedy Monty Python’s Flying Circus which led to several successful films. John O’Hurley, best known as J. Peterman on Seinfeld, and dancing his way to the championships of ABC’s Dancing with the Stars, will star as King Arthur.